In its first film season, 1927–28, this award (like others such as the acting awards) was not tied to a specific film; all of the work by the nominated cinematographers during the qualifying period was listed after their names. The problem with this system became obvious the first year, since Karl Struss and Charles Rosher were nominated for their work together on Sunrise but three other films shot individually by either Rosher or Struss were also listed as part of the nomination. The second year, 1929, there were no nominations at all, although the Academy has a list of unofficial titles which were under consideration by the Board of Judges. In the third year, 1930, films, not cinematographers, were nominated, and the final award did not show the cinematographer's name. Finally, for the 1931 awards, the modern system in which individuals are nominated for a single film each was adopted in all profession-related categories. From 1939 to 1967 with the exception of 1957, there were also separate awards for color and for black-and-white cinematography. Since then, the only black-and-white films to win are Schindler's List (1993) and Roma (2018). Floyd Crosby won the award for Tabu in 1931, which was the last silent film to win in this category. Hal Mohr won the only write-in Academy Award ever, in 1935 for A Midsummer Night's Dream. 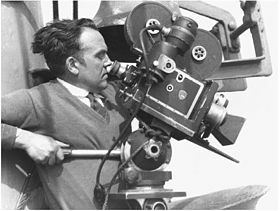 Mohr was also the first person to win for both black-and-white and color cinematography. No winners are lost, although some of the earliest nominees (and of the unofficial nominees of 1928–29) are lost, including The Devil Dancer (1927), The Magic Flame (1927), and Four Devils (1928). The Right to Love (1930) is incomplete, and Sadie Thompson (1927) is incomplete and partially reconstructed with stills. The first nominees shot primarily on digital video were The Curious Case of Benjamin Button and Slumdog Millionaire in 2009, with Slumdog Millionaire the first winner. The following year Avatar was the first nominee and winner to be shot entirely on digital video. In 2018, Rachel Morrison became the first woman to receive a nomination. Prior to that it had been the last gender-neutral Academy Award category to never nominate a woman. In 2019, Alfonso Cuarón became the first winner of this category to have also served as director on the film, for his film Roma. Most awards Leon Shamroy 4 awards 1942 Awards resulted from 18 nominations. Joseph Ruttenberg 1958 Awards resulted from 10 nominations. Most nominations Leon Shamroy 18 nominations 1965 Nominations resulted in 4 awards. Charles Lang 1972 Nominations resulted in 1 award. Most consecutive awards Emmanuel Lubezki 3 consecutive awards 2013, 2014, 2015 Awards resulted from 8 nominations. Oldest winner Conrad Hall Age 76 2002 Hall died just two months before the awards ceremony. Hall is also the oldest non-posthumous winner, at age 73, in 1999. Oldest nominee Asakazu Nakai Age 84 1985 Nakai shared the nomination with two others. The Way We Were Harry Stradling Jr.
^ Having not been officially nominated, Hal Mohr was a write-in candidate and became the only write-in to ever win an Academy Award. ^ A preliminary list of submissions from the studios included the following titles, which were not official nominees: First Love (Joseph Valentine), The Great Victor Herbert (Victor Milner), Gunga Din (Joseph H. August), Intermezzo (Gregg Toland), Juarez (Tony Gaudio), Lady of the Tropics (Norbert Brodine), Only Angels Have Wings (Joseph Walker) and The Rains Came (Arthur C. Miller). ^ A preliminary list of submissions from the studios included the following titles, which were not official nominees: Drums Along the Mohawk (Ray Rennahan and Bert Glennon), The Four Feathers (Georges Périnal and Osmond Borradaile), The Mikado (William V. Skall) and The Wizard of Oz (Harold Rosson). ^ In 1957, black-and-white and color films competed in a combined Best Cinematography category. ^ "Oscar nominations". 24 January 2009. ^ Bernstein, Paula (2014-11-04). "8 Female Cinematographers You Should Know About". IndieWire. Retrieved 2018-01-25. ^ Tapley, Kristopher (2018-01-23). "Oscars: 'Mudbound's' Rachel Morrison Makes History as First Female Cinematographer Nominee". Variety. Retrieved 2018-01-25. ^ O'Falt, Chris (Feb 24, 2019). "Director Alfonso Cuaron Wins Best Cinematography Oscar for 'Roma'". IndieWire. Retrieved Feb 25, 2019. ^ a b "The Official Academy Awards Database". Academy of Motion Picture Arts and Sciences. Retrieved January 9, 2018. ^ "Academy Awards 2017: Complete list of Oscar winners and nominees". Los Angeles Times. February 26, 2017. Retrieved January 8, 2018.